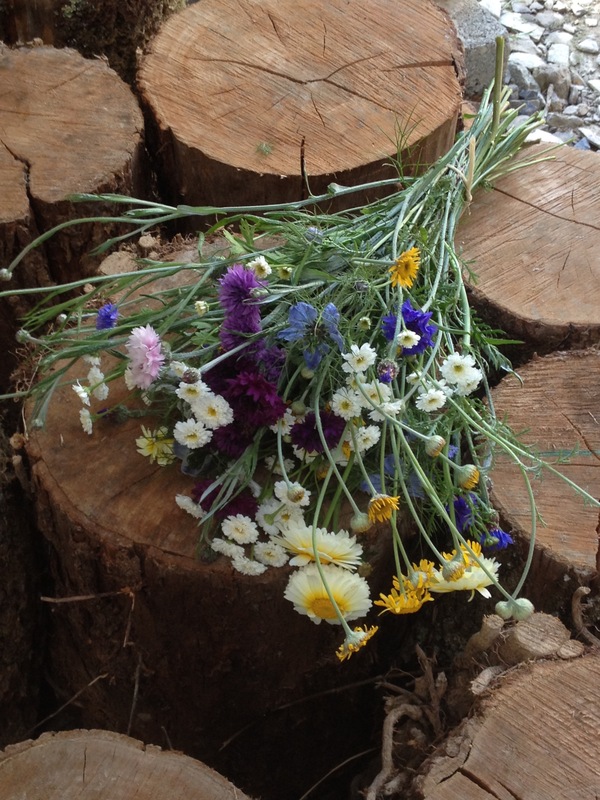 the woodland farm » Permaculture Flowers saving the planet! This week we’ve been thinking about the impact of what we do and we’ve been doing a bit of research and some maths to see how helpful our floriculture is in terms of climate change. 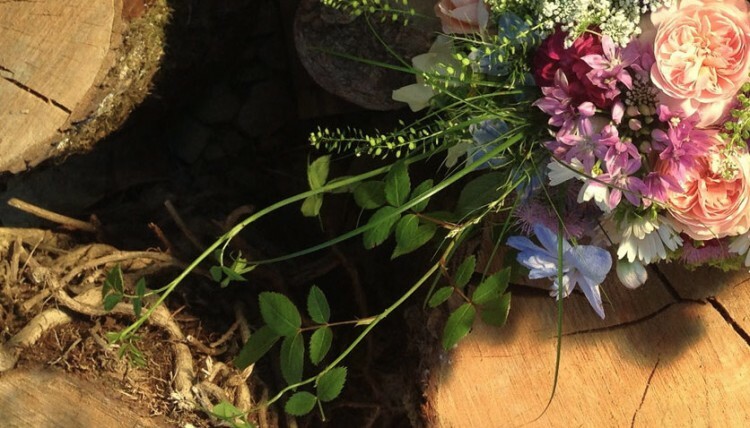 We were amazed to see that the flowers we supplied for weddings in Pembrokeshire last year saved around 14,800kg (14.8 tonnes) of CO2 compared to using imported flowers and that doesn’t even include the bunches and buckets we do for business use, gate sales and DIY customers. 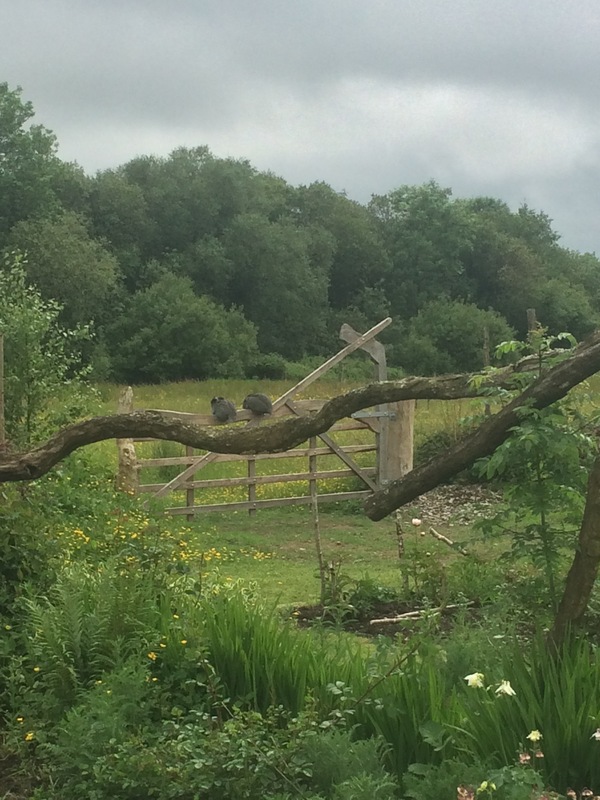 Located near Haverfordwest we grow flowers using a permaculture approach – this means no chemical inputs, mixed planting beds and lots of insect and bird habitats such as living and dead hedges, woodland fringe and water. The plants do better for us like this because we are re-creating natural systems where the energy inputs from wildlife and plants are all recycled within the system. Currently we provide flowers and floristry for around 35 weddings a year – we also have gift bouquets, funerals and event floriculture along with warre beehives, a fruit orchard, 8 acres of coppice, pumpkins and flower meadows. Research in 2017 By Rebecca Swinn at Lancaster University identified that the carbon footprint of bunches of flowers coming in from overseas (which accounts for some 90% of the flowers used in the UK) was around 30kg of CO2 per bunch whilst bunches grown in the UK and sold locally were as little as 1.7kg a bunch. A small to average sized wedding can easily use 15 bunches of flowers to create bouquets for brides, bridesmaids, buttonholes and venue flowers. That’s 450kg of CO2 for each wedding using imported flowers compared to 25.5kg CO2for locally grown flowers. 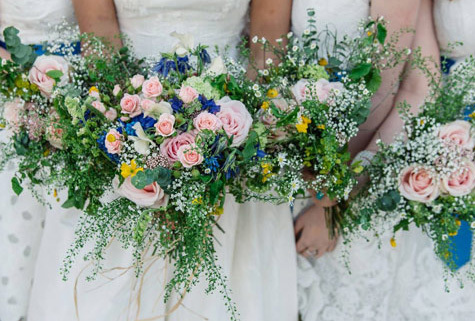 Linda has worked out that with some 300 weddings taking place in Pembrokeshire each year then if everyone moved over to buying locally grown flowers the county would save a whopping 135 tonnes (135, 000kg) of CO2. To find out more about growing flowers in a Permaculture setting or to buy flowers from the Woodland Farm get in touch with Linda & Steve on FB or Instagram @thewoodlandfarm or by email info@thewoodlandfarm.co.uk.